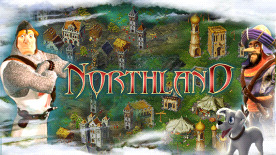 Cultures - 8th Wonder of the World takes place some years after the end of Cultures - Northland. The renowned hero Bjarni and his friends, retired after their last adventure and enjoyed their day-to-day lives. This peace was not meant to last as one day the powers of darkness and evil slowly began spreading all over the world. The greatest heroes of the past were summoned. The people cried out to our friend Bjarni, who immediately set out to save mankind from the clutches of doom and misfortune once again. The destiny of Bjarni’s people, and with them the destiny of all humanity, now lies in your hands. You must solve the mystery surrounding the 8th Wonder of the World with your heroes and banish evil from the Earth!